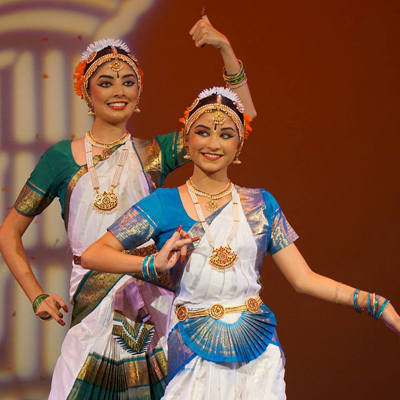 Asha & Anjali Slyker of North Los Angeles/Tri-Valley Chapter of Ekal Vidyalaya, dedicate gifts from their dance Arangetram to Ekal. 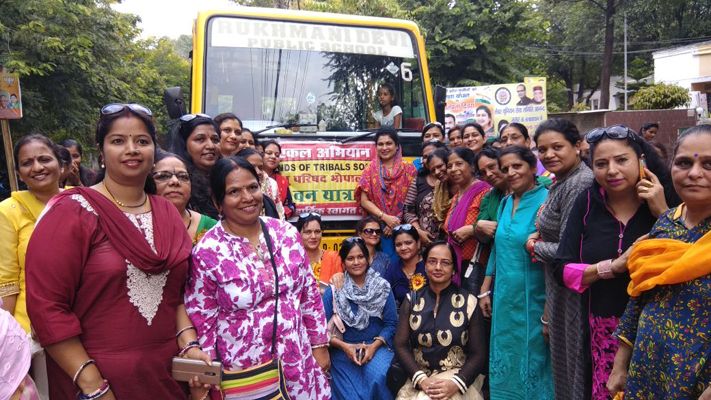 Their mother chose to make donations to Ekal for her fortieth birthday in 2009, and their dance school, Padmalaya School of Dance, has made numerous donations to Ekal as a part of Vijayadashmi and other programs in the past. Ekal Sansthan organized its 15th Ekal Study Circle meet on 29th July 2017 at India International Center, New Delhi based on theme-“NAYEE UDAAN-A MODEL FOR INTEGRATED VILLAGE DEVELOPMENT” which was graced by around 40-45 eminent people from diverse fields and youth from colleges. Dr. Baljeet Kaur in her presentation on ‘Ekal model of volunteering’ shared details of various volunteering projects to seek the participation of and engage urban volunteers as per their interest both in city and villages. These verticals include-Dream India tours, college /school outreach programs, door to door campaigns, social media campaigns, national volunteering campaign and corporate outreach program. Later in the event, students from her college also showcased snapshots of Ekal’s volunteering portal being developed by them to link Ekal projects with volunteer needs. 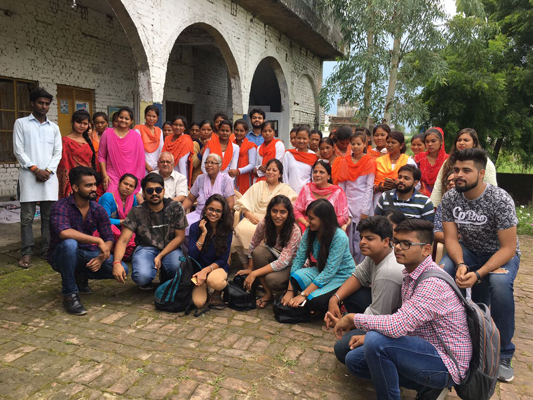 Miss Nikita-a college student volunteer of recently organized Ekal Dream India tour (DIT) in June 2017 presented an impactful glimpse of the activities and experience of urban youth in 4 day sensitization trip to Nanakmatta block in Uttarakhand. In her words, “Ekal’s DIT is a wakeup call for youth to transform paper patriotism to practical patriotism and finely balance between India’s progress and tradition.” The audience was captivated by the very spirit of urban volunteers and the sound of the song-‘Dildiyahai ,jaanbhidengey, aevatantereliye’ echoed in the hearts of all. 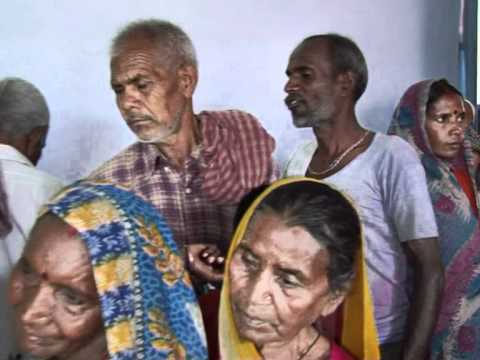 Audio-visuals of Nanakmatta village community were shared to bring out their takeaway from recent DIT . Dr. Nidhi P. Chanana,Fellow –TERI (The Energy and Resources Institute), addressed the meet as the first panelist and discussed in detail the TERI model of rural development in Uttarakhand. 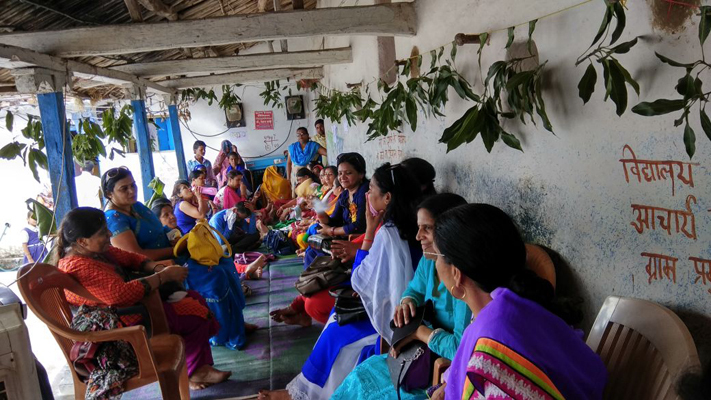 Ekal and TERI project have many similarities in terms of having a 30 village cluster based approach, use of organic farming techniques and emphasis on skill development to boost local village economy. Shri Praveen Arya- General Secretary Ekal Sansthan highlighted the Ekal model of integrated village development. 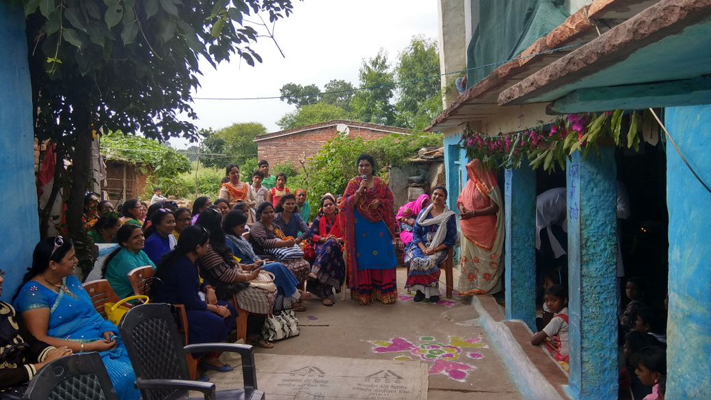 The model has two components- one is the concept of Pragatsanch (high performing cluster of 30 villages), the other is concept of Gramothan Resource Centre (GRC) (cluster of 100 villages), which is an institutional model and a hub for skill development and livelihoods. 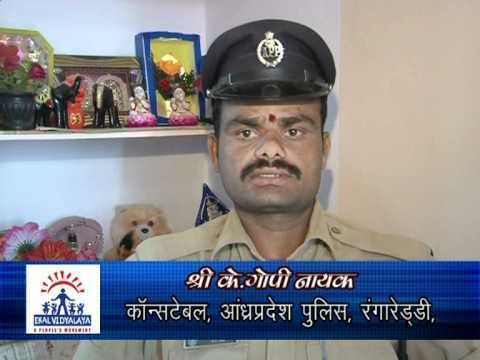 Dr. KashyapiAwasthi- Asst. Professor, National Centre for SchoolLeadership, National University forEducational Planning & Administration (NUPA)– the second panelist, was highly impressed with Ekal’s work and particularly connected well with young DIT participants. In her words-“there cannot be a better leadership that can be felt, understood and lived than Ekal’s Dream India tour.” She touched the audience with her simple yet thought provoking quotes that-‘we do not learn through books and degrees but through life.’ She exhorted youth to expand their circle of influence beyond their concerns to create a nation they truly desire. We need to develop such research projects in our education system across, which can actualize the skills learnt on ground for nation’s development. 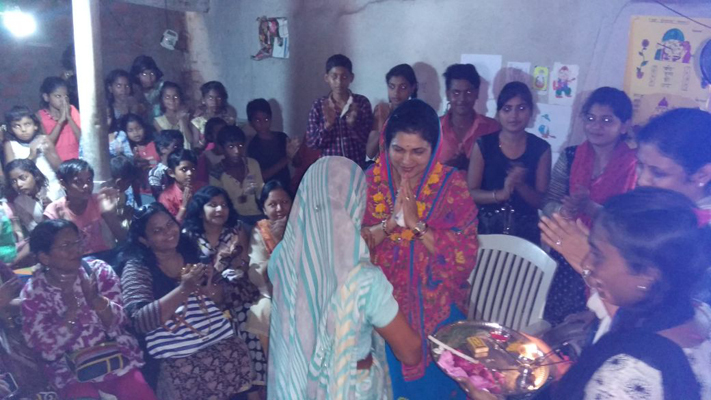 For example, a commerce student learning about and developing a cooperative bank in a village, a law student sensitizing about women rights in a village. 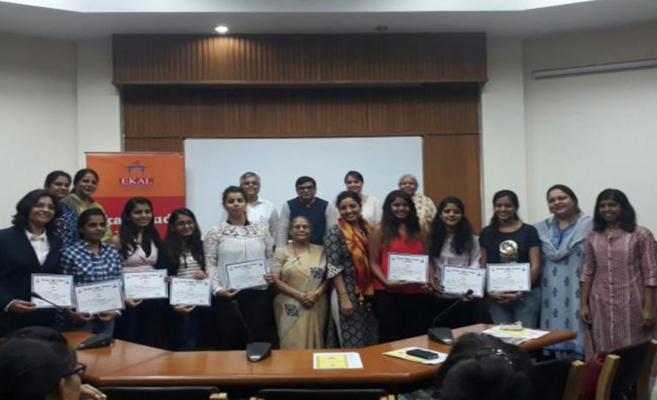 The Study circle meet got concluded with felicitation program where 11 Dream India student volunteers from prestigious Delhi colleges were awarded with certificate of participation by Smt. Manju Srivastava- President Ekal Sansthan. 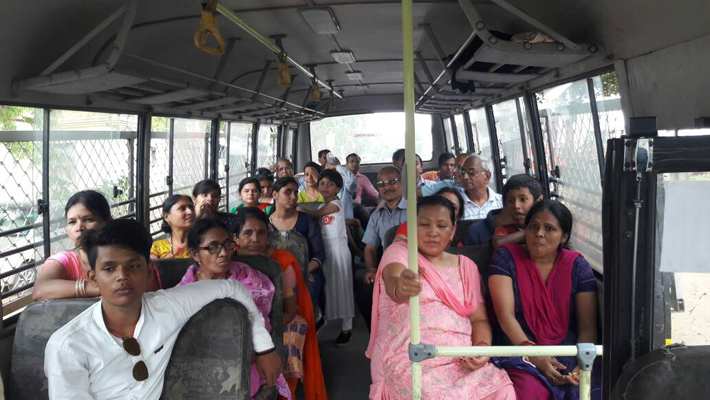 Third Dream India Tour was organized by Ekal Sansthan from 24th-27th August 2017 in which 12 Delhi college students, one college faculty, one practicing lawyer totaling a group of 14 participated. 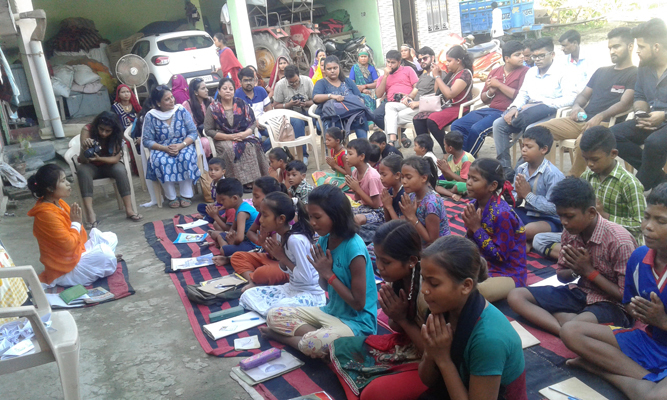 They volunteered themselves in various activities in Ekal villages in Nanakmatta block in Uttarakhand. 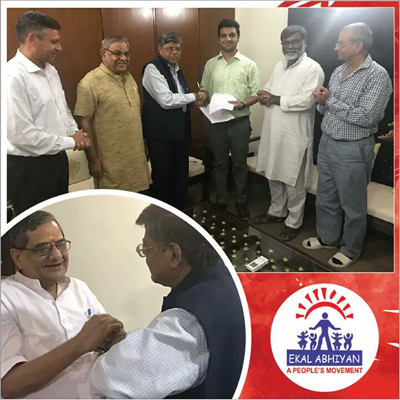 On 27 September, Ekal Gramothan Foundation signed a MoU with TERI (The Energy and Resources Institute) to solarize rural and tribal villages. In the first phase, the program will solarize complete village of Parmadih in Jharkhand. The MoU was signed in the presence of Shri BajrangBagra and Shri Lalan Sharma from Ekal and Shri Amit Kumar, Sr. Director, TERI. Ekal Gramothan Foundation has undertaken the responsibility to develop the village of Parmadih, in an integrated and holistic way. The village comes under GRC Giridih. 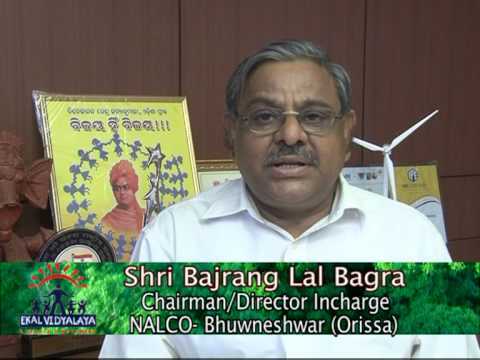 The project is being supported by Shri SatishMallick. 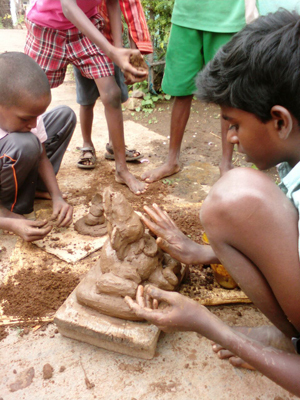 4 children from Mondukkuzhi Ekal Vidyalaya created their own Ganesh and celebrated Ganesh puja. 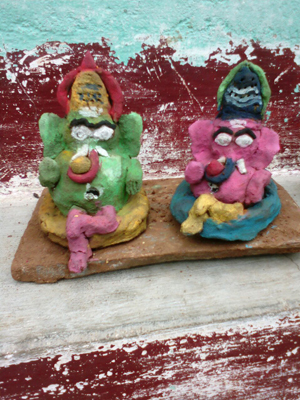 Sathyeswaran studying in 9th standard, Arunesh studying in 3rd standard, Sudershan studying in 3rd standard and Jathesh studying in 4thstandard,with the help of their Acharya SmtGomathi made 4 Ganesha idols, painted it beautifully, made a small cover with bricks, and decorated it with color papers grass and leaves. They kept it clean and did puja for 2 days and the 3rd day a proper visarjan. The villagers and elders were very happy and participated in the celebration. 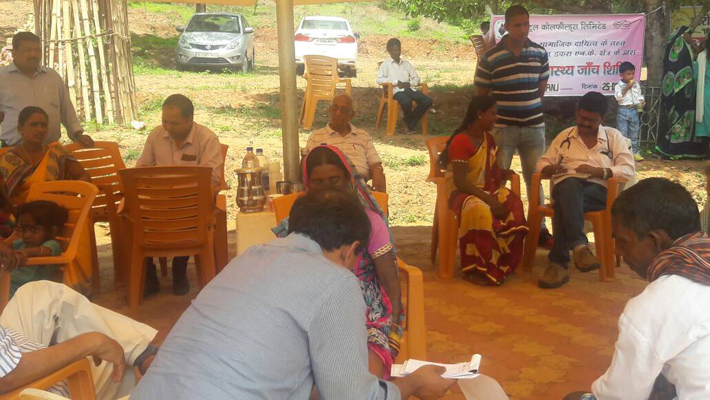 Arogya Foundation of India and SewaBharathiorganised free orthopaedic medical camp at MUTHI DOMANA area. 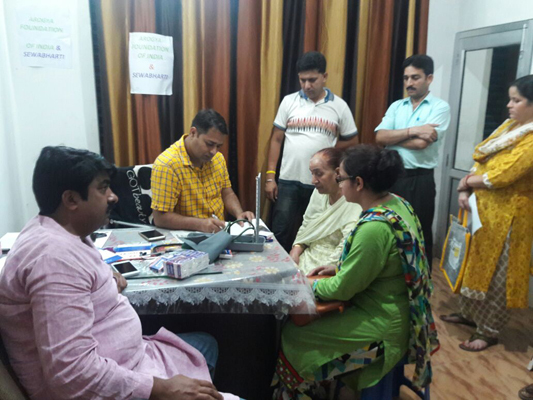 DR.VIKAS SHARMA orthopaedic surgeon along with Arogya Foundations activists, Renound columnist and writer Nareshudaas and senior citizens of the area helped in providing treatment, examining and distributing free medicine to more than 200 needy patients of the area. 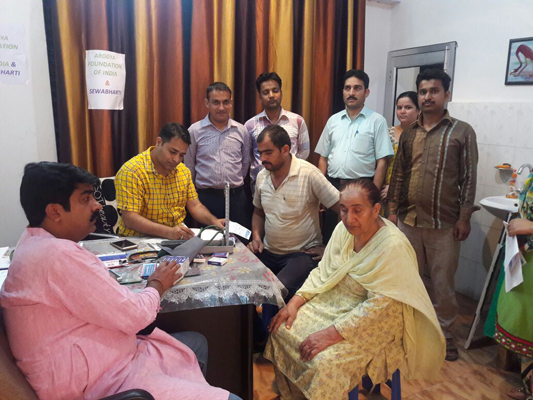 Sri Nareshkumar along with team provided free BMD test facility to the camp. 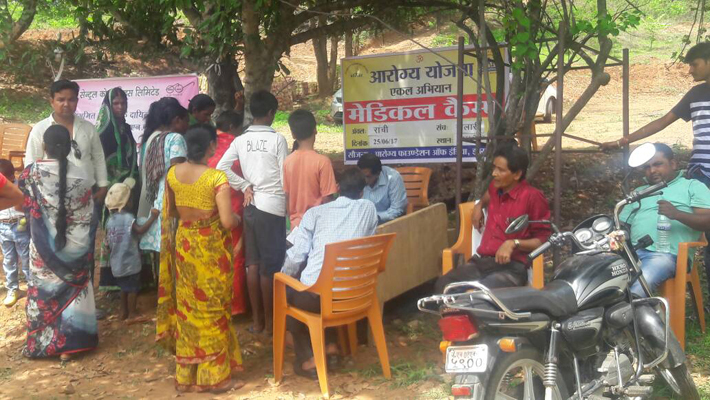 Operational chapter of Arogya Foundation of Ekal Abhiyan, Jharkhand organized a mega medical camp in the most interior village of Jharkhand. The camp had gynecologists, Dental surgeons, Orthopedic surgeons, Endoscopic surgeons and Dermatologists. Shri Shyamji Gupta guided all the great dignitaries under the chairmanship of ShriLaxmi Narayan Goyal (Essel Group) and the revered brother 'Ojha' ji honored the artists of ShriHariSatsangaSamiti.Several dignitaries and journalists from Punjab Kesari and other news groups were also present on this occasion. A Cultural program was presented by the teachers. Vignesh and Harish with their family visited one of the Ekal schools in Tamilnadu (Bothinayakkanpatty Village) during their summer vacation in August in India this year. They felt that they had a great opportunity to meet the kids, ask them about their school to understand their curriculum. Harish even said, "It was a pleasure to see the kids' expressions as we handed out school supplies and biscuits." 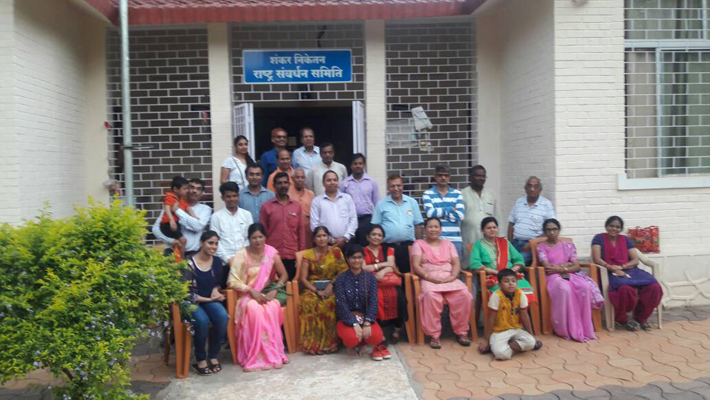 FTS Bhopal MahilaSamiti went on a Vanyatra on 9th Sept, 2017 to Khargawali&Imaliya Ekal Villages. The highlight of the Vanyatra is that, about 50 members went together to these 2 villages. 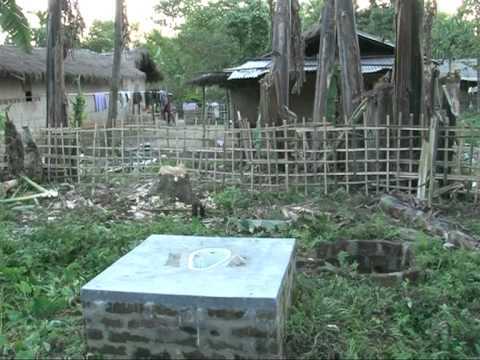 They found Ekal to be a wonderful organization for tribal villages. Young Ekal US volunteer, Rohan Sharma son of Ekal member Brahm Om Sharma, sharing his experience of visiting Ekal Vidyalaya in India. Rohan has articulated Ekal's mission and his experience wonderfully in this video.